Summary: Send your personalized get well soon cards to cancer patients and give your best wishes to people you care about. In the period of sickness and ill health, get well wishes can be a great way to alleviate pain, lift spirits and make them feel good and brighten up their day. Movies and books are great gifts for cancer patients! Especially it’s a gift that doesn’t require a lot of thinking but are just plain entertaining. A book that can draw you in, make you laugh or at least leave you with a smile on your face is healing. Not cancer book. 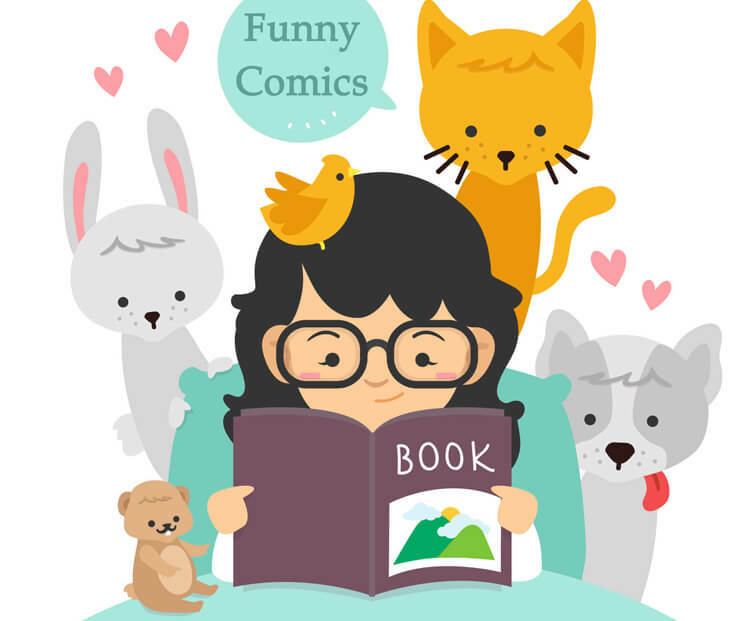 They already know they have cancer – give them something light and fun, like comics and fictions. Funny movies are perfect for that! If you don't already know what his or her favorite comedy is, try asking another loved one if they know of any. Or, you could also gift some classics! Losing hair was one of the hardest parts of a cancer journey and trying to figure out how to deal with it was extremely challenging. Sending him or her some headwear in different shapes is a good choice. I’d recommend finding a local wig shop so you can actually touch and feel these headwear, try a bunch of them on, talk to the sales women about what would be best for your needs. A scarf is also a great gift idea for someone battling cancer. Being warm and comfortable is often difficult especially in drafty waiting rooms and cold winter nights, scarves are incredibly versatile and, not to mention, fashionable. Again, look for fabrics that are simple to launder. You can spend as much or as little for a nice, quality scarf. Get well soon cards have been a source of great strength for cancer patients, especially if you can write some inspired wordings in it, which will quite encourage them. Get well greetings are helpful to someone who doesn’t feel very well, especially who is going through a healing period. These cards can be found in most gift shops. However, when you buy ready-made cards, they can be too generic and too common. If you want to wow the person with your own get well soon greetings, you can choose to make one by yourself. The easiest and cheapest way to get custom-made cards done is to go online. Thanks to the Internet, there are a lot of free online card designing sites that you can completely create your own get well ecards online or you can use the card templates offered by those online sites. Such as AmoLink greeting card maker and AmoyShare photo collage maker, both are free and easy-to-use. And the best part is you can make these cards in the comfort of your own home. 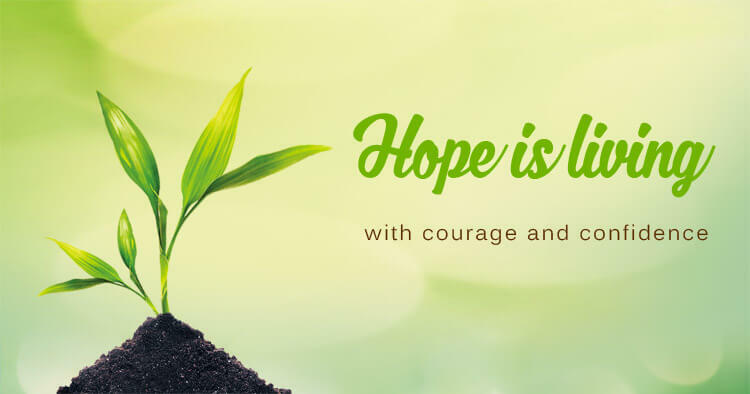 I admire your courage to fight this disease. You are on a very challenging road right now, and you are doing a great job. My prayers and encouragement are with you. You are an inspiration for me and a lot of people. Do NOT tell them that they have been complaining. Cancer treatment is a hell on earth. Unless you've been go through chemotherapy, please do not pretend that you have a clue what they are going through. It's not like the flu. Ignore them physically or emotionally – do not run away if you see a cancer patient at the grocery store or church. If you feel like you don’t know what to say, simply ask them how they are feeling. The cancer patient is still the same person! They just want you to show you care in any way – a simple “how are you” means a lot. Do NOT tell them about friends’ experiences with the horrors of chemotherapy, how much they vomited, their terrible death, how badly burned they were through radiation or other awful stories that will simply depress a cancer patient. Don't contribute to the panic or the chaos. Do NOT call them on the telephone, tell them all about you and never bother to ask how they are, how they feel, or how treatment is going. Do NOT say, “call me if you need me or if I can do something for you” unless you are a really close friend of the cancer patient. I know we all have good intentions when we make those statements. The truth is most cancer patients do not have the time or energy to really call. Please be understanding that the cancer patient does not have the energy to keep up their relationship with you right now in the ways that you may have been accustomed. I hope these things can help understand the needs of a cancer patient. One small act of love or kindness can make a cancer patient want to live or give up. Just as I mentioned above, there are a lot of free online websites for you to make get well soon greetings for your friends or family members. Here I take AmoLink as an example, it is a novel and free online greeting card maker that adopts HTML5 technology, which means you are free to make your own free get well ecards online for anyone you care about. What’s more, AmoLink provides free get well soon greetings templates for you to create our own greetings. 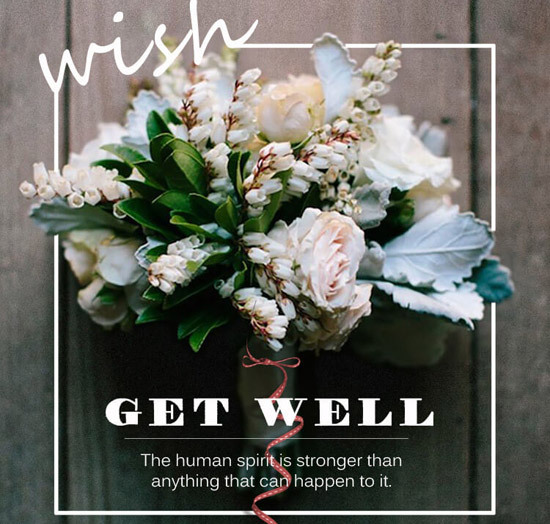 You just need to replace pictures, add your own voice – get well wishes, music, videos and some animations to your card, well, a perfect and personalized get well soon greetings has already done. After finishing your heartfelt get well soon cards, just directly send to the person who has been in a hard time and fight with cancer, you can choose to send by email, as well, share to him or her handy by Facebook or other social networks. Then the recipient can view your get well wishes anytime, even on the road just only with a mobile phone, yes, you are right, AmoLink is both for PC and mobile, you can easily edit on PC and handy view on mobile. Get well soon greetings are usually humorous and fun. You can add a little humor to your card so that the person who will receive it will smile or laugh. If you don't want to place something funny on the card, the safest way is to place cancer inspirational quotes in the message. Whether you make it funny or serious, get well soon cards are simple but great ways to make a person feel better. Making personalized get well greeting cards will not only cheer the person up but also show how much you care.